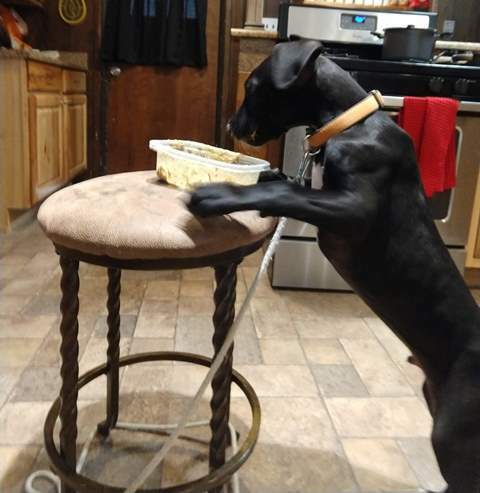 Sponsor Whiskey - Rocky Mountain Great Dane Rescue, Inc. 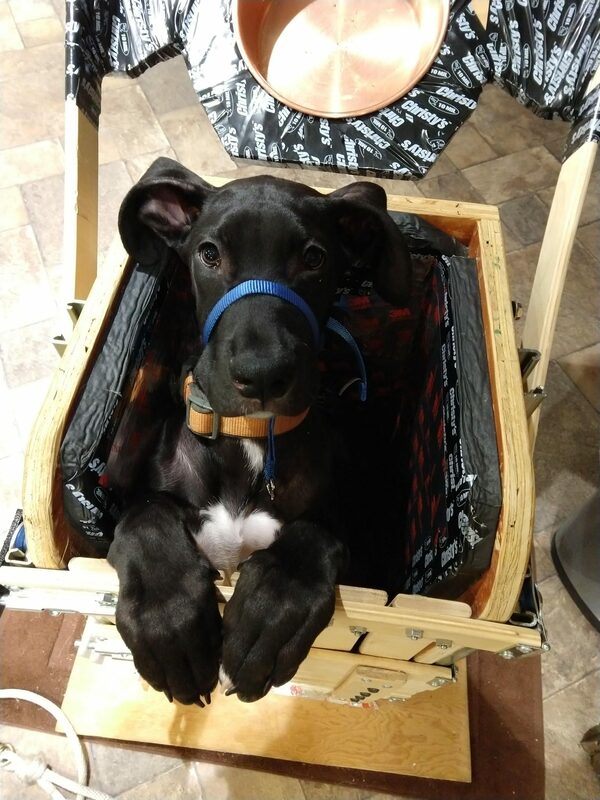 Whiskey is a 5 month old black male Dane. He is a sweet guy who who needs a little extra care. When he came into rescue at 9 weeks of age, we were told he has Persistent Right Aortic Arch that is interfering with his ability to swallow his food properly. Once we find out what he is dealing with, we will have a better idea how to treat it. 10/28/2018 – Whiskey was surrendered to RMGDRI due to a medical condition: Persistent Right Aortic Arch (PRAA). PRAA is a vascular ring anomaly in dogs that can affect esophageal function. In Whiskey’s case, if his food is too big or if he eats too fast, it causes him to regurgitate his food. His foster family has taken care in making sure Whiskey’s meals are made into a slurry, and that he eats slowly and upright. 10/29/2018 – Whiskey has an appointment scheduled with a cardiology specialist for 11/15/2018. 11/15/2018 – Whiskey met with the cardiology specialist today. 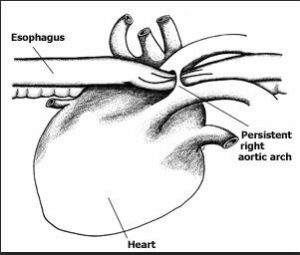 While he has a history of regurgitating his food, Whiskey does not have the classic signs of a Persistent Right Aortic Arch. There is no leftward tracheal deviation and no esophageal dilation. He could still have PRAA without the classic signs or a different type of vascular ring anomaly. The cardiology specialist has recommended that he have a contrast esophagram with fluorscopy completed in order to better understand what is happening when Whiskey tries to eat. 11/19/2018 – Appointment consult scheduled for 11/27/2018 with a veterinary hospital capable of completing the diagnostic procedures recommended. Thank you all for your support and continue to send positive, healing thoughts Whiskey’s way. 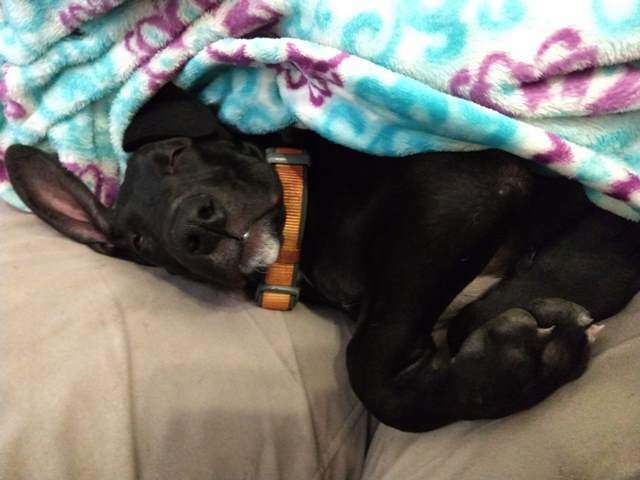 To donate towards his veterinary care, please click the button below.